A month ago, Google launched their redesigned Google Image Search interface and as you know, Webmasters were not happy. 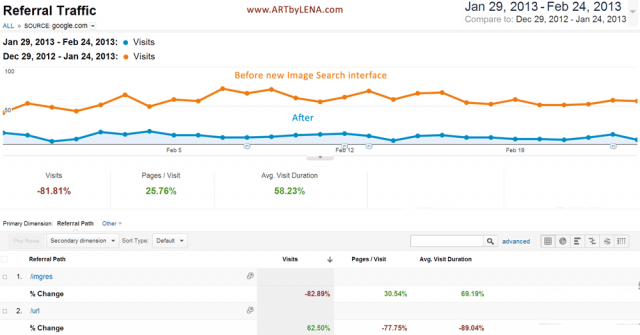 It has been a month and some folks are posting how the new image search design impacted their traffic from Google Image Search. Gregory Karpinsky posted an image of the traffic to his 99% image based site in a Google+ Community thread showing an 80% plus decrease in traffic but his other engagement metrics are all up. 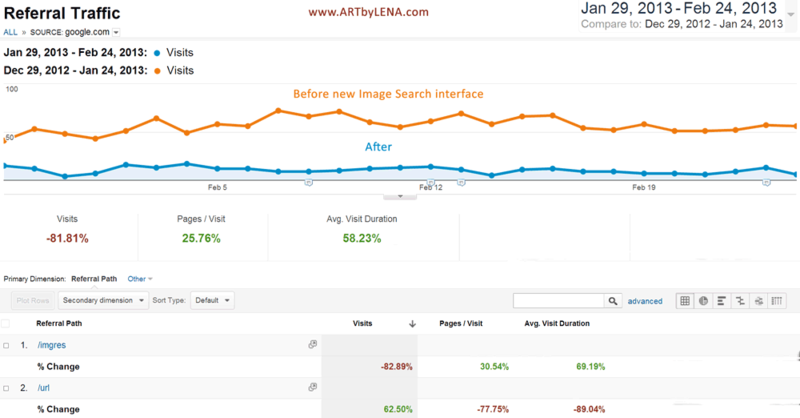 This site has seen a drop in Google Image search traffic by 40%. What have you seen? Forum discussion at Google+ Community.